The Spa @ Buffelsdrift is situated at the foot of the Swartberg Mountains, South Africa’s 6th World Heritage Site, on Buffelsdrift Game Lodge. Situated 6.5km outside Oudtshoorn en route to the Cango Caves. At the Spa you will find a view of pristine Bushveld and lush vegetation overlooking a 5ha dam with hippos and more than 217 bird species. 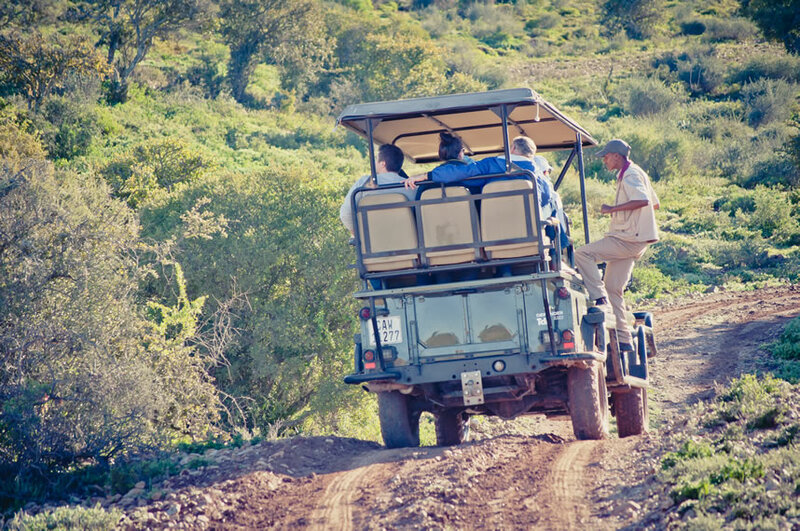 Here at Buffelsdrift Game Lodge, we offer Bush Safaris not only to our residents, but to the public as well. 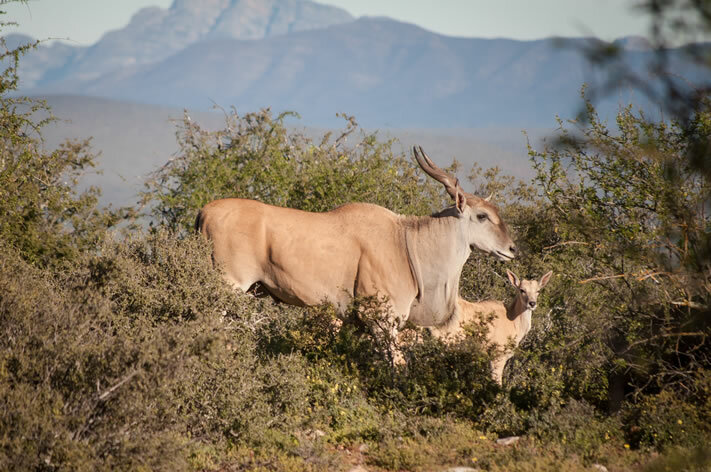 During our bush safaris ( game drives ), you can expect to experience true Karoo vegetation from our open game viewing vehicles. Our wide range of animals include Hippo, Elephant, Giraffe, Eland, Zebra, Buffalo, Rhino, Springbok and much more. The duration of our bush safaris is ± 2 hours. About midway through the safari, there is a refreshment break at one of our scenic lookout points. These offer 360° panoramic views of the area as well as the Swartberg Mountains. This is definitely a highlight at the lodge. Guests can marvel at the Karoo sunset from our Spioenkop viewpoint while having a refreshing beverage. Guests will be lucky to spot some of our 22 different animal species on their way to the viewpoint. The perfect way to end a glorious day. Buffelsdrift Game Lodge offers Southern African game drive bush safaris in the heart of the South African Garden Route & Klein Karoo. None of our elephants have been taken from the wild for captivity. The three elephants were orphaned when the adults were poached. Our elephants come from circumstances that if we did not intervene they would not be alive today. We did not choose this life for them but we rather chose to give them the best possible life within our means with the best possible love and care. 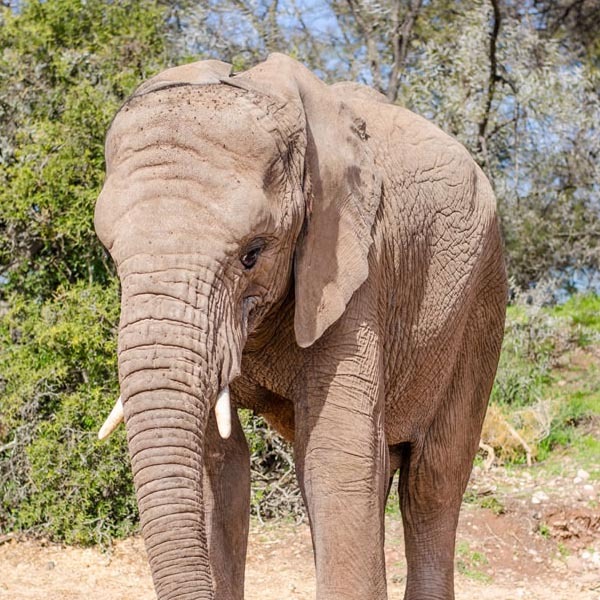 Early bookings for an Elephant Experience are essential as our elephants are very popular. Clients should arrive 15 minutes prior to activity. Activity will automatically be cancelled if clients arrive 15 minutes after booked time and will have to wait for the next time slot. Hourly from 09:00 to 16:00 depending on availability. While feeding our elephants you will experience them (Jabari, Malaika and Bulelo) up close and personal. You will find they may be huge, but are gentle as can be. 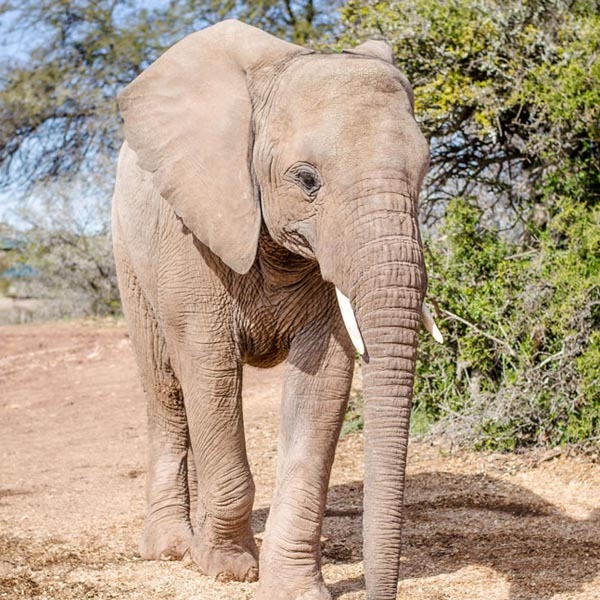 You may feed them, touch them and take photos with them while our skilled elephant guides share their knowledge of these gentle giants with you. Afterwards they will even reward you with an elephant hug as a special goodbye. Daily – 09:00 & 16:00 Depending if there is a walk or feeding booked. How often do you get the opportunity to brush an elephant? 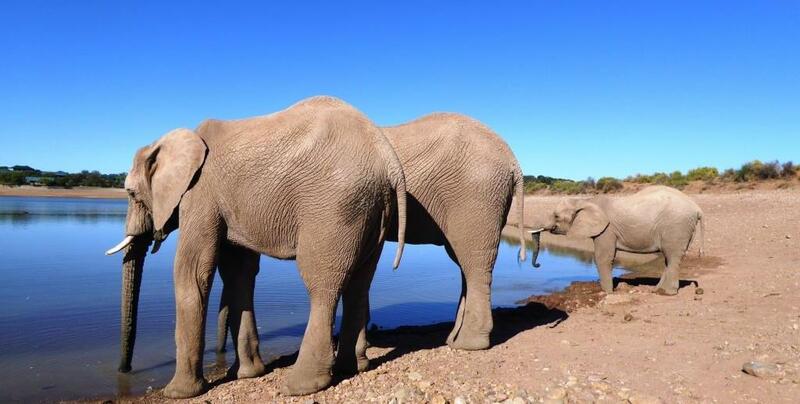 Well, here at Buffelsdrift Game Lodge you can brush our 3 elephants. They have been trained and are truly gentle. Enjoy and be part of an elephants natural, daily routine and also be educated on the importance of brushing an elephant. This is a unique, fun and unforgettable experience. Daily – 08:00 & 15:00 Depending if there is a brush or feeding booked. Take a leisurely stroll with our elephants in the early morning or late afternoon. This is a great way to take in some of our Karoo beauty whilst walking with the biggest land mammals on earth. Afterwards you may feed them, touch them and take photos with them. Our 3 African Elephants are orphans from the Kruger National Park. Their parents were poached. 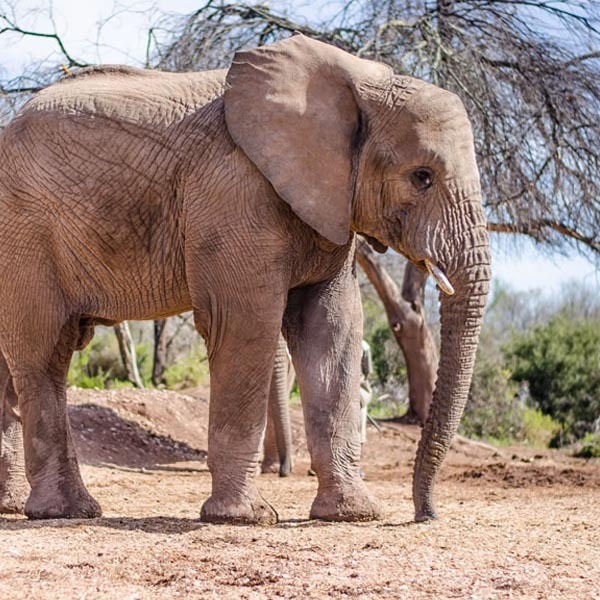 We are fortunate that they ended up here at Buffelsdrift Game Lodge as they are true gentle giants and have great personalities. Elephants are very affectionate and caring animals. You will immediately experience this when visiting ours. You are welcome to ask our elephant guides as many questions as you like. Join us daily at dawn to witness these incredible wild habituated creatures emerging out of their burrows, just in time to soak up the sun before they head about their daily activities. Meerkats are also referred to as the Suricate or in German as the Erdmännchen and are known to be part of the Mongoose family. They are small species of foraging mammals that’s usually found inhabiting the harsh conditions of the open and arid, semi-desert plains in Southern Africa. 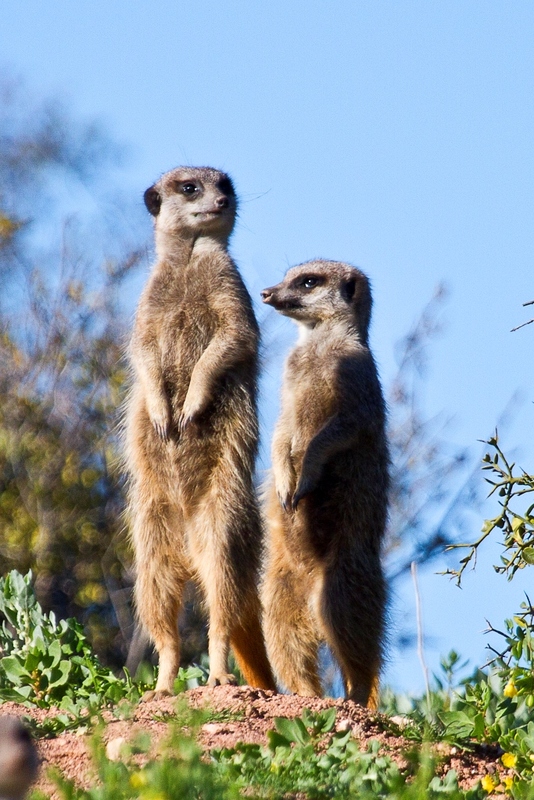 Meerkats are known for their upright stance and their sociable behaviour. Buffelsdrift Game Lodge is situated in the heart of the Klein Karoo and offers the ideal environment and vegetation for Meerkats to thrive. 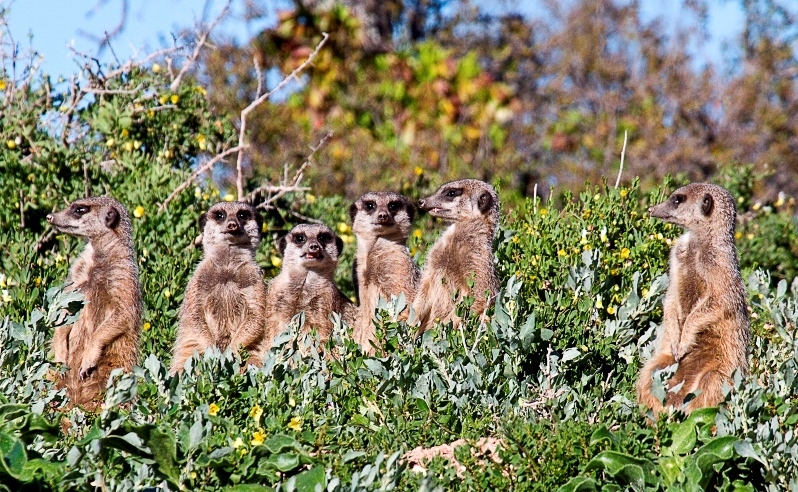 The Meerkat Safaris at Buffelsdrift Game Lodge will bring you up close to these amazing animals. A trained ranger will meet our guests in the Lookout Lounge, where they will enjoy a warm cup of coffee and rusks, before heading to the Safari vehicle by which they will be taken to the Meerkat burrows. On the way to the burrows guests are usually lucky to spot some of the 22 species of animals on the reserve. As there are dangerous animals like Buffalo and Hippo on the reserve, the guests remain on the vehicle while waiting for the Meerkats to emerge at the break of dawn. The ranger will educate the guests on all the interesting facts and behaviour throughout the experience. These are wild habituated Meerkats and will not be touched or handled by humans, including the ranger. 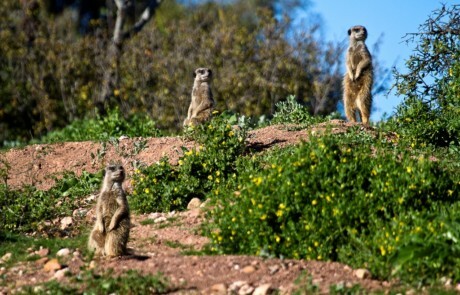 The distance from the Meerkats and the guests will at all times be determined by the ranger and respected by the guests. Maximum of 16 guests per vehicle. Maximum of 2 vehicles per day. No children under the age of eight years. Please call Lodge day before activity to reconfirm departure time. 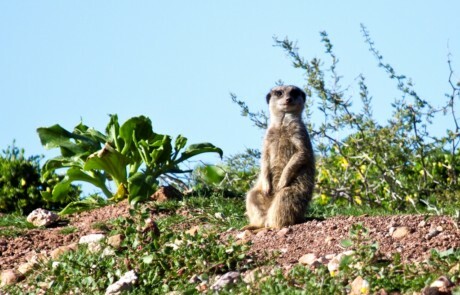 Bookings for our Meerkat Safaris are via enquiry only. Call us on 044 272 0000 or email us your booking enquiry. On sunny mornings our meerkats wake up on time, but conditions such as rain and cold overcast mornings can delay the meerkats to emerge from their burrows for the morning. 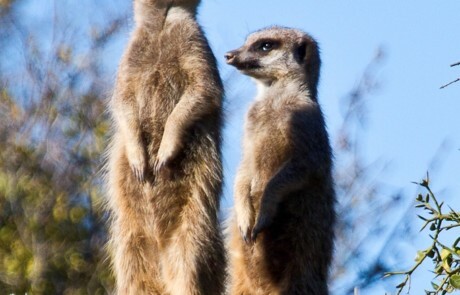 Meerkats prefer clear sunny mornings. Thus, in the event of above mentioned weather conditions, there is a possibility that we will not see the meerkats or that the meerkat safari can be cancelled. 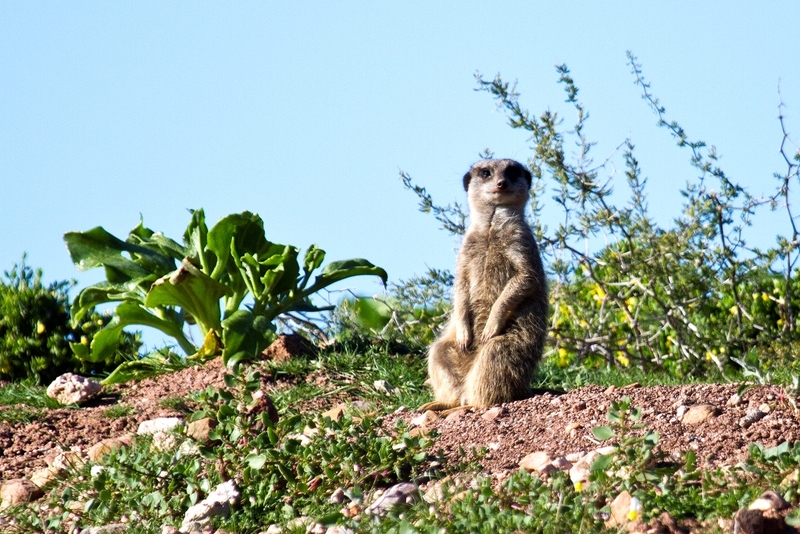 Currently Buffelsdrift Game Lodge has embarked on an extensive Meerkat research program. Volunteers at Buffelsdrift Game Lodge will be utilized to help the ranger with data collection and behaviour observations. For more information, visit our Volunteer Program. After two years of intensive preparation we received three young lions in January 2017. The negotiations with the Namibian conservationists Dr Rudie and Marlice van Vuuren from N/a’an ku sê – Conservation, started almost two years ago when the couple indicated that they would like to expand their work that they are doing in Namibia, to South Africa. 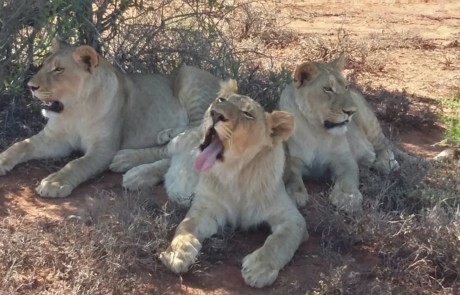 The first project on the list was to relocate the three young lions from a Game farm in the Western Cape to Buffelsdrift Game Lodge with the help of Cape Nature. 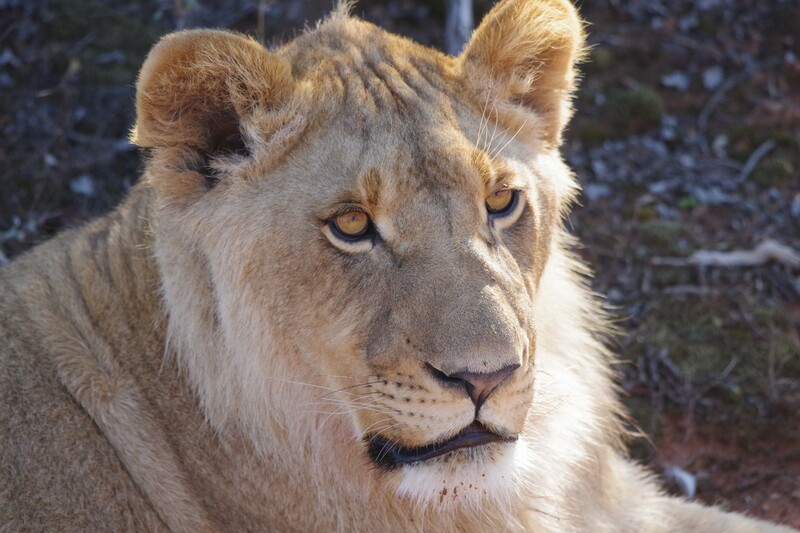 The cubs, approximately 9 months old, two females and one male, were relocated with the help of Dr Willem Burger, a local vet from Oudtshoorn. 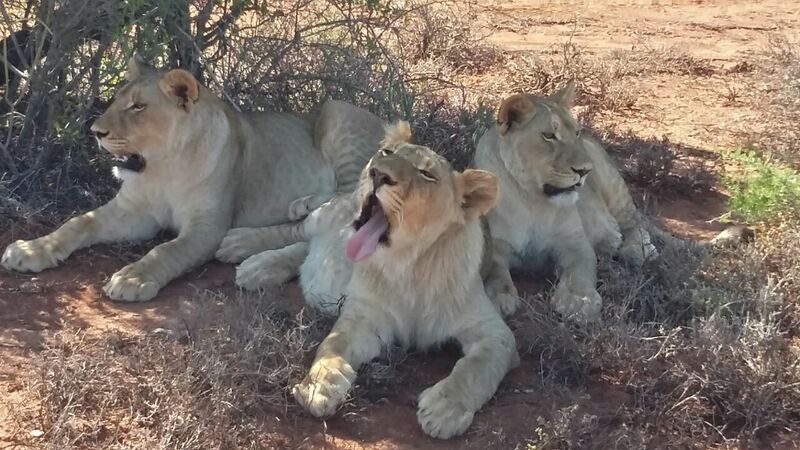 The cubs were welcomed on Wednesday the 4th of January at the special erected camp at Buffelsdrift. Daily from 09H30 & 15h00. 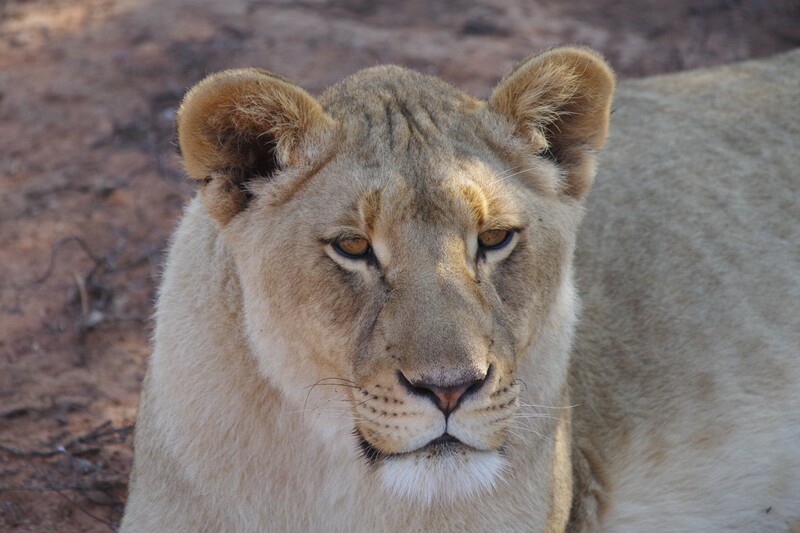 Guests will be transported in a game vehicle to the 5ha lion enclosure where they will see our lions (Shumba, Tonga and Safia) close-up from the elevated view point. 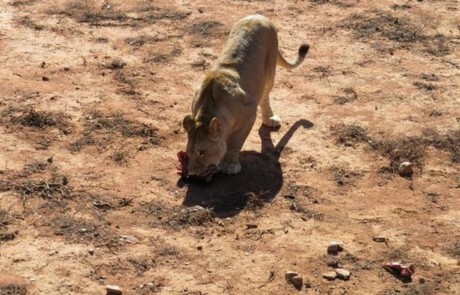 A trained game ranger will feed the lions while guests view them. It is advisable to have a camera at hand. 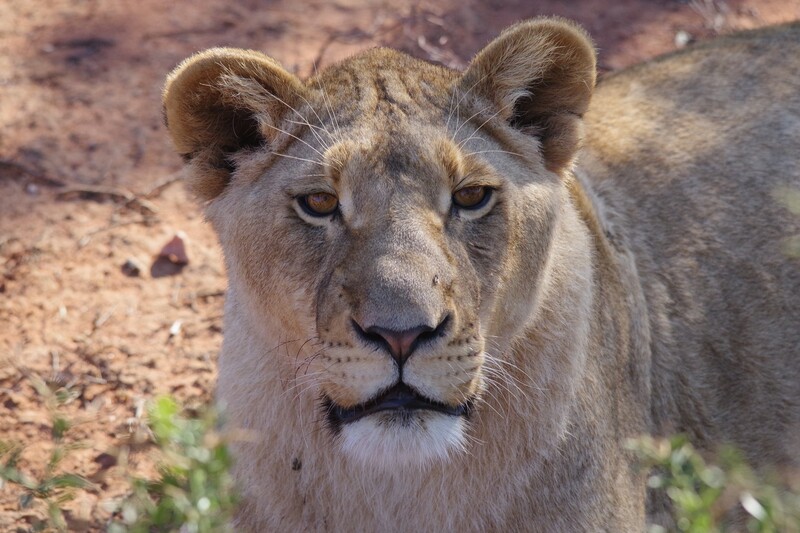 Furthermore, the game ranger will fully inform the guests regarding important aspects of lions in general. 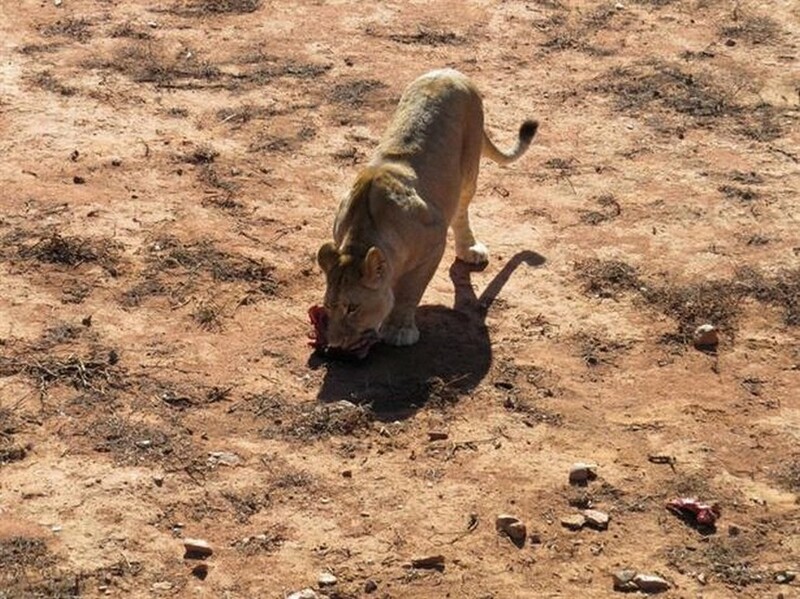 – These are wild Lions and will not be touched or handled by humans, including the rangers. – Maximum of 20 guests per Lion experience. Book in advance to avoid disappointment. The Klein Karoo is renowned for its clear, unpolluted night skies offering fantastic stargazing evenings. 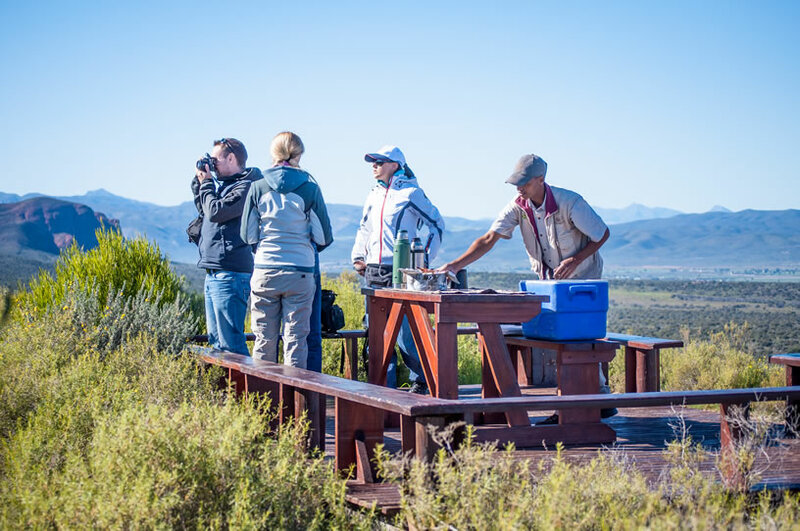 At Buffelsdrift we seize every opportunity to present the “High five” to our valued guests. Join us for a fascinating one-hour tour of the Southern Celestial Hemisphere every evening. For centuries civilizations have used the stars and moon for navigation and yet, we know so little! Great weather all year round and plenty of sunshine promises spectacular views and great outdoor living. Gamkaskloof, also known as “the Hell”, is a fascinating valley near Prince Albert, where a small, proud community lived in isolation for more than 100 years. Access was on foot and horseback and harvests of dried fruit and wild honey were carried out by pack animals. Karusa Vineyard is nestled in the tranquil village of Schoemanshoek, en-route to the world-famous Cango Caves from the Little Karoo town of Oudtshoorn. Well-known for its Cap Classique and Mediterranean-styled wines, Karusa is a family-operated and managed Southern Cape Premium Wine producer. Safari Ostrich Show Farm is an operating farm where visitors will see large flocks of ostriches at different stages of development in the surrounding fields. Visitors are assured of personal attention and upon their arrival are greeted by one of our multi-lingual guides who will, during the course of the tour explain every aspect of ostrich farming, from breeding to rearing. Swartberg Nature Reserve lies in the Oudtshoorn district between the Great and Klein Karoo, forming a narrow, but long, stretch of 121 000 hectares. It is bordered by the Gamkapoort Nature Reserve immediately to the north (8000ha) and Towerkop Nature Reserve immediately to the west (51 000ha).